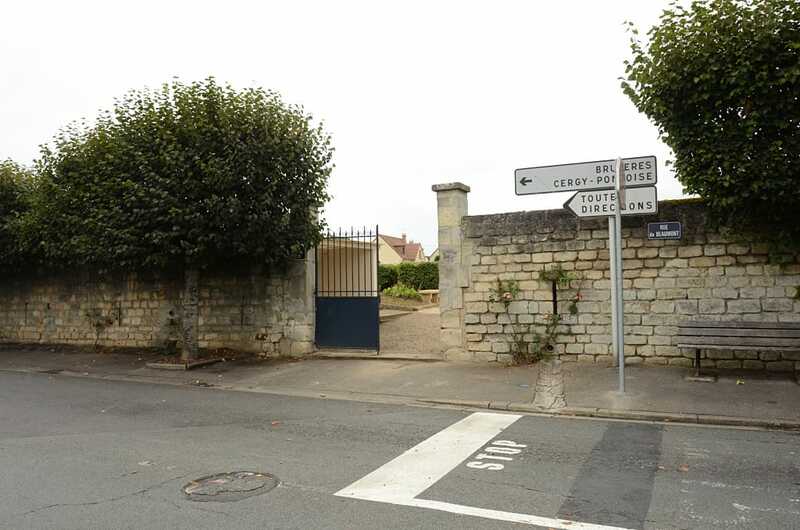 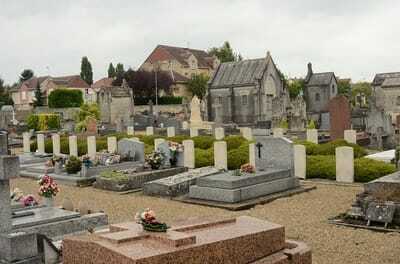 Boran-sur-Oise is a village 36 kilometres south-east of Beauvais and 7 kilometres east-north-east of Persan Beaumont. 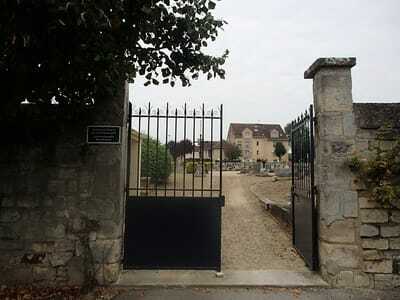 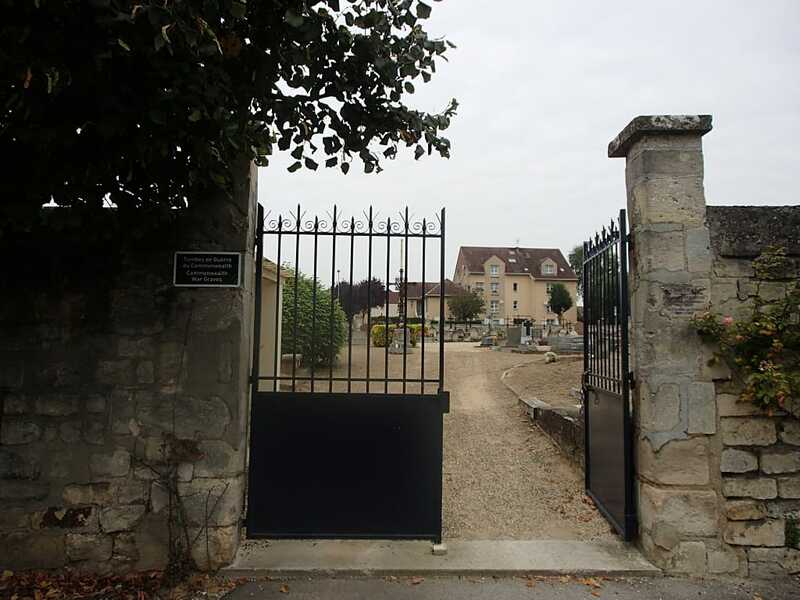 The Cemetery is on the south-west side of the village. There are now 22, 1939-45 war casualties commemorated in this site. 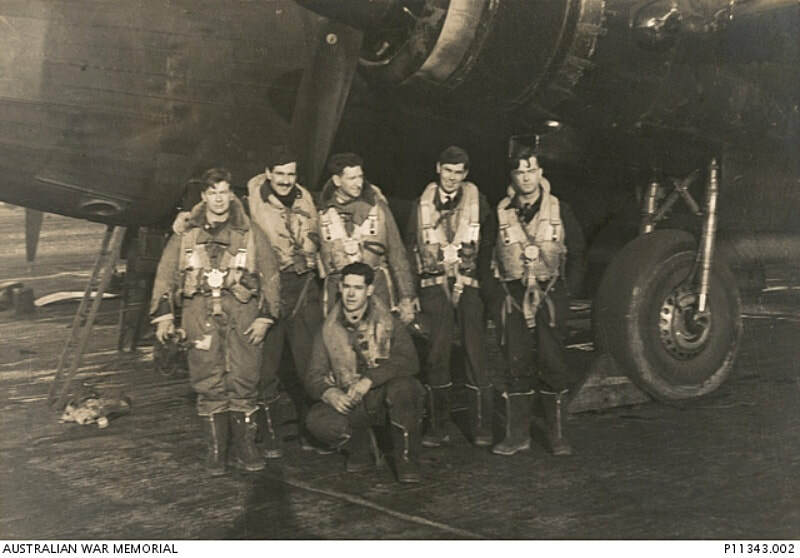 Informal portrait of the RAAF crew of Lancaster aircraft ND346, 467 Squadron RAF, possibly on return from operations. 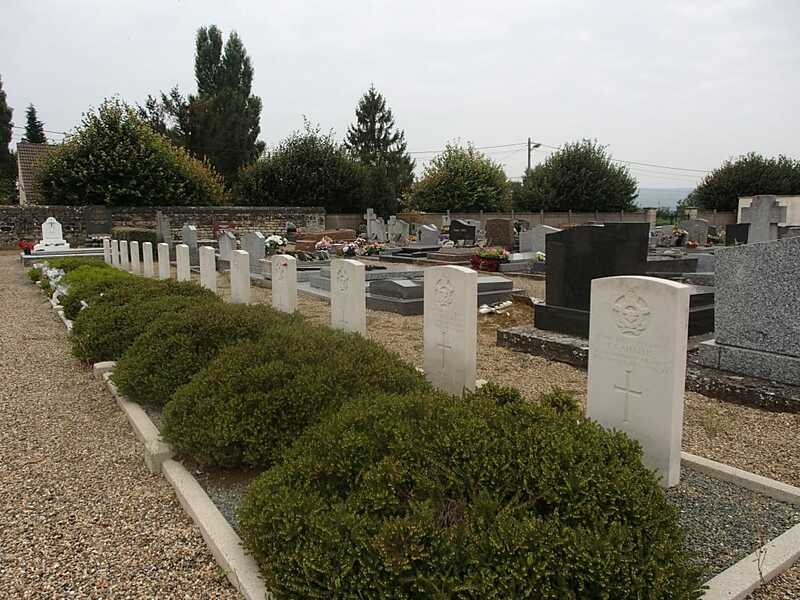 430696 Flight Sergeant (Flt Sgt) John Ewart Norris; 420648 Flight Officer Arthur Richard Dyer (Pilot); 425881 Flt Sgt John Alexander Woodrow McKinnon; 426343 Flt Sgt Albert Edward Heap; 410070 WO Johnathan Sylvester Le Maire (Buried in this cemetery) and 426601 Flt Sgt Russell Howard. 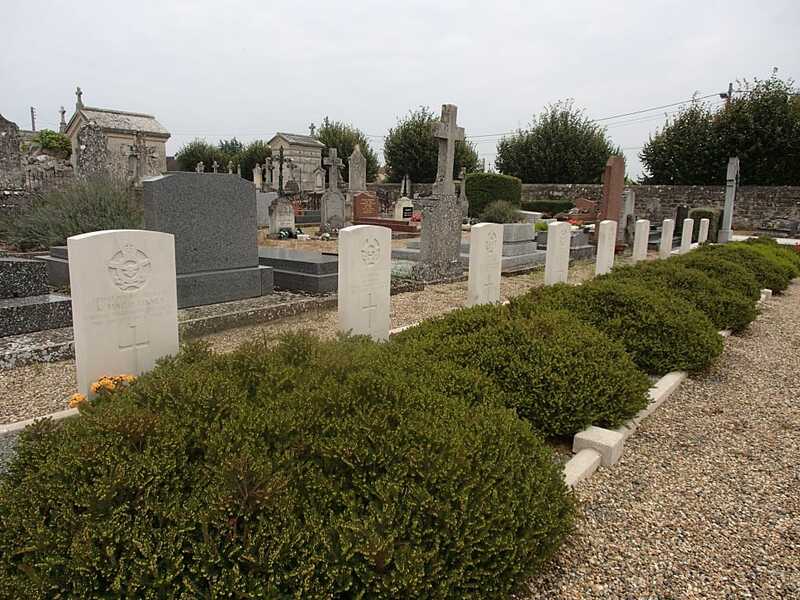 With the exception of Flt Sgt Norris, the crew were later killed on operations on 2 August 1944 when their aircraft collided mid-air with Lancaster ME853 and crashed at Boran-Sur-Oise, France. 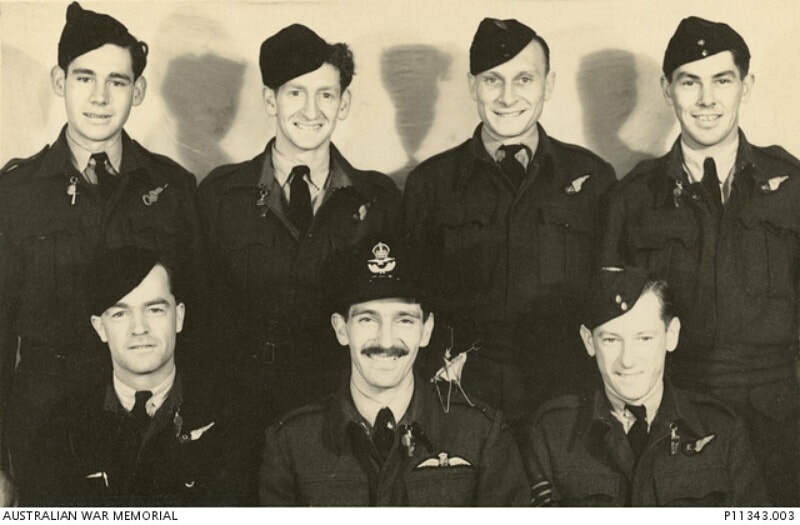 Informal portrait of the RAAF crew of Lancaster aircraft ND346, 467 Squadron RAF. Front row, left to right; 426601 Flt Sgt Russell Howard; 420648 Flight Officer Arthur Richard Dyer (with mascot devil on his shoulder) and possibly Sgt A.G Shalayer (RAF). 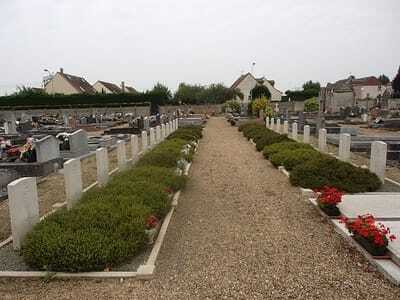 The crew were later killed on operations on 2 August 1944 when their aircraft collided mid-air with Lancaster ME853 and crashed at Boran-Sur-Oise, France.